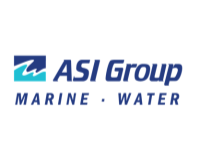 ASI Group Ltd. (ASI) was founded in 1987 as Aquatic Sciences Inc. by a small team of industry professionals committed to providing integrated engineering, ecological and marine services to clients worldwide.In the late 1980's, ASI gained a global reputation for our proactive response to the zebra mussel infestation of the Great Lakes. Our company has the distinction of being the first to perform a chlorination treatment for zebra mussels in North America. We are a full-service engineering and technology based company with a focus on all aspects of underwater infrastructure inspections, maintenance, repair and the design, build and operation of water and wastewater treatment facilities.